Strike fear into all you encounter with this costume! 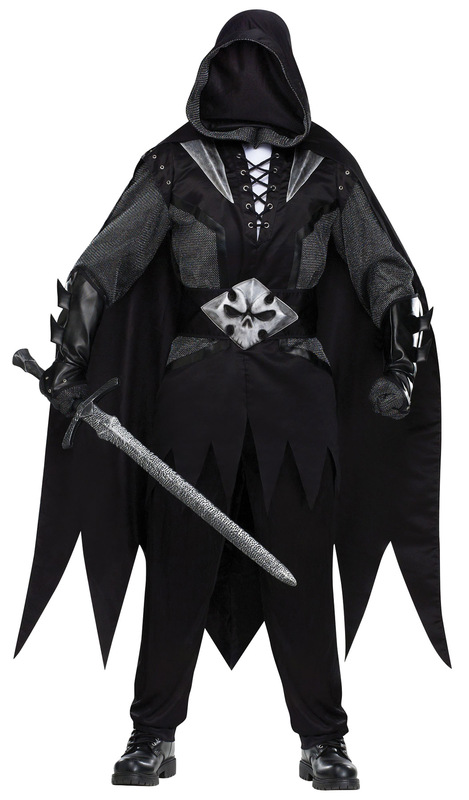 Includes black tunic with attached cape, hood, gloves, and belt. Add your own pants. Sword not included. Fits most adults up to 6ft 200 lbs.